After getting back into the civilisation of Chiang Mai, we had a nice last night there meeting up with a couple of fellow ex tattoo residents, Shany and Jenny. 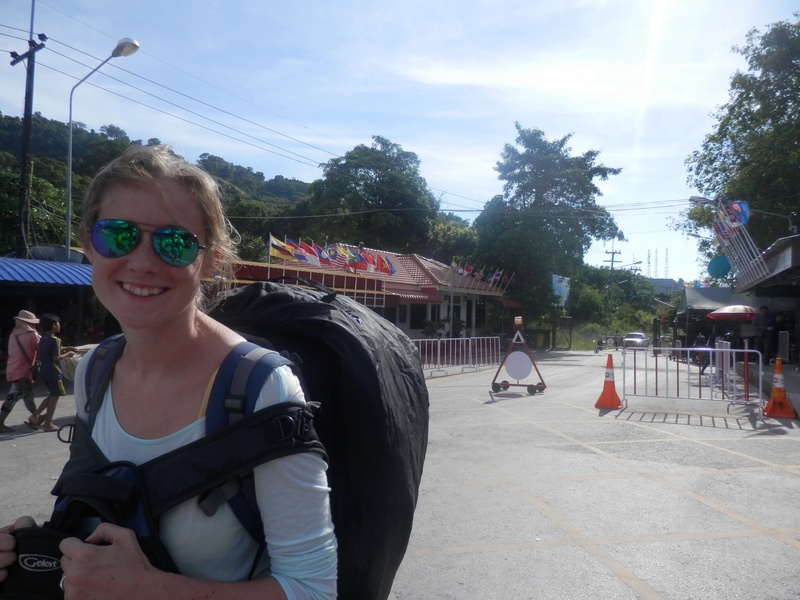 The following day, like proper backpackers, we headed off with nothing booked and made our way to Chiang Rai, nearer the Laos border. The bus was surprisingly on time, and after 3 hours we were in the town, where we found a nice guesthouse near the centre. If Chiang Mai was a breath of fresh air compared to Bangkok, Chiang Rai is the same again to CM. Every other building in CM is a tour office or western restaurant, and while it was nice, CR feels a lot more relaxed. 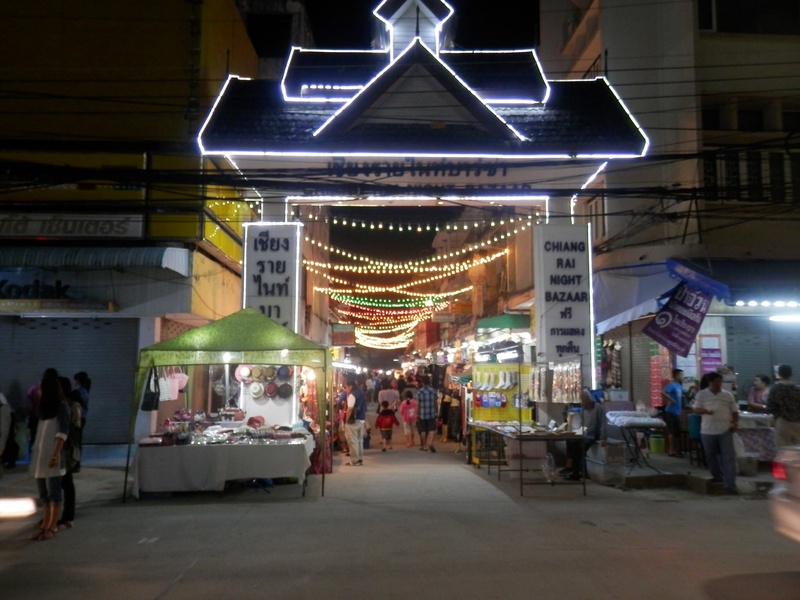 We went to the night bazaar on the first night, which was a much more pleasant experience compared to the miles long packed intensity of the CM night market. We had some excellent, and cheap, street food and then watched a hilariously bad show of miming and ’dancing’. 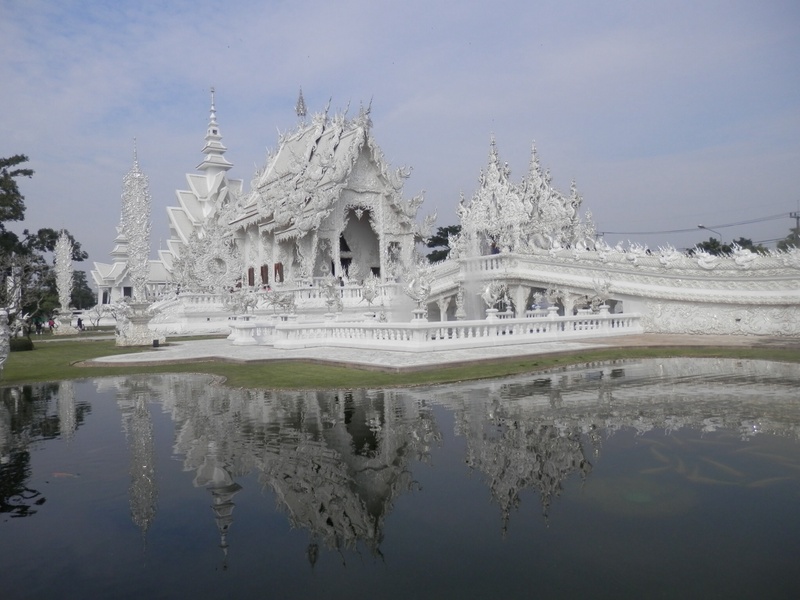 The following day we visited the (in)famous White Temple, a bizarre building apparently designed to make Buddhism more relevant to young people. It’s still being constructed, but you walk around most of it and it is really weird – bright white, with mirrored glass mosaic’d onto all the walls. 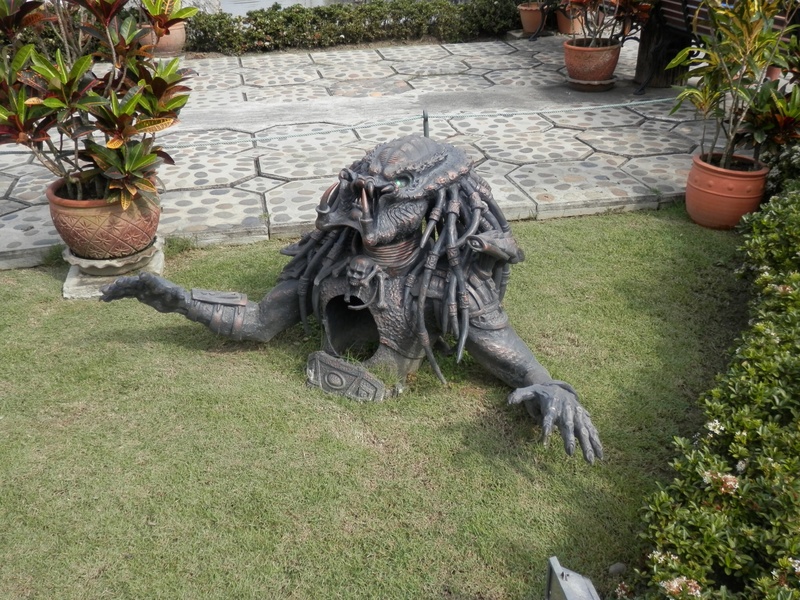 There are some pretty gaudy statues outside along a bridge, and inside the walls are painted with a mix of Buddhist and modern images, including superheroes, Star Wars and 9/11. It was a few KM outside the city, but fortunately the local bus was easy to take there – worth a visit but I’m glad we didn’t pay any money for a tour! Later that day we visited the Hill Tribe Museum, which was a really interesting place and gave a lot of good insights into the people who in around the jungles and mountains. 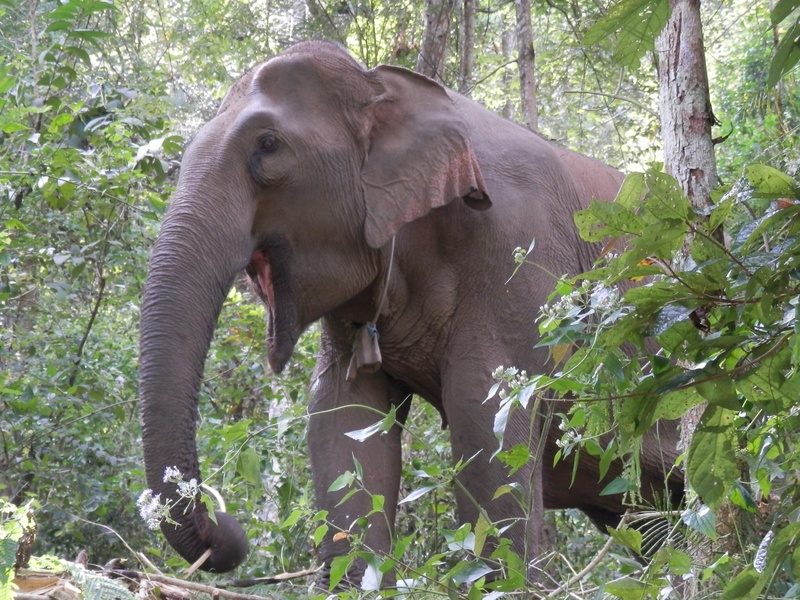 We are planning to head into Laos tomorrow, but decided to spend a last couple of nights in the jungle before leaving Thailand. 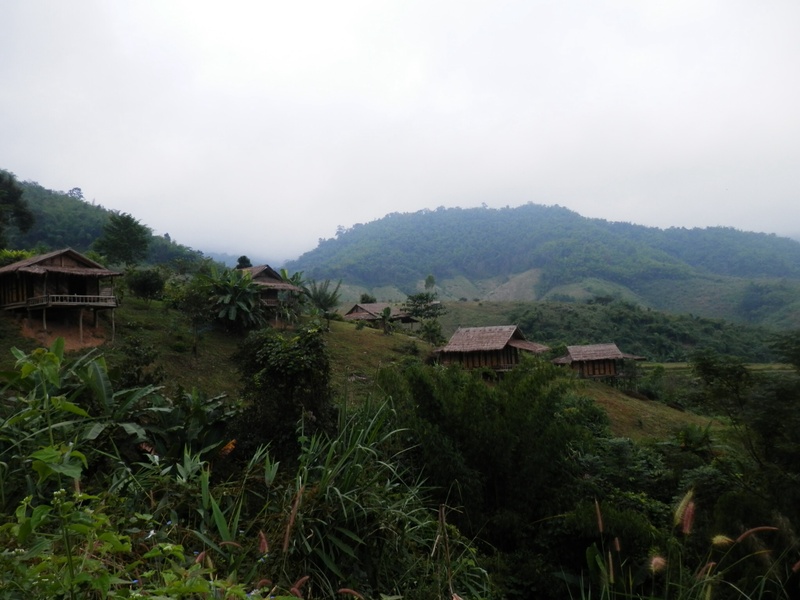 Law found us an amazing place outside CR called the Bamboo Nest, and we relaxed there with no internet, electricity or roads! 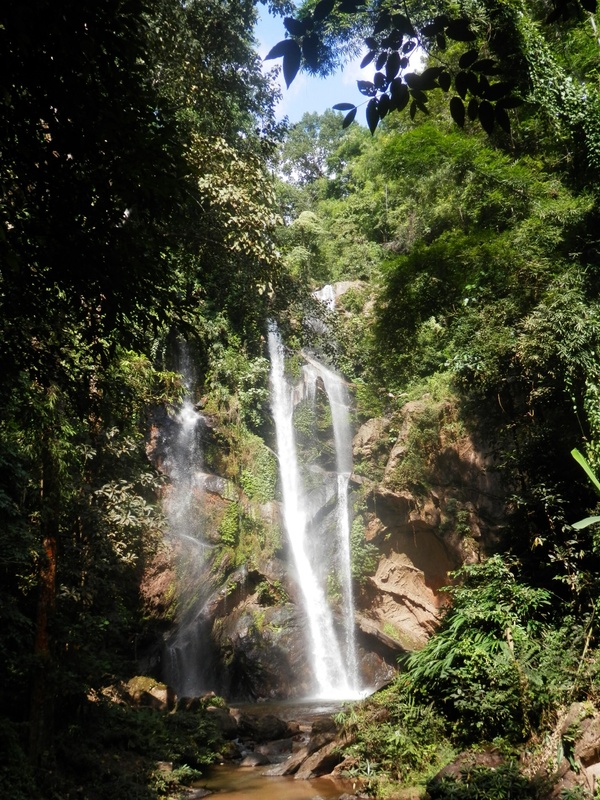 We trekked an hour or so to a nearby waterfall, via a small village where we finally succumbed and bought some handmade bracelets (the Museum in CR told us this was okay…). 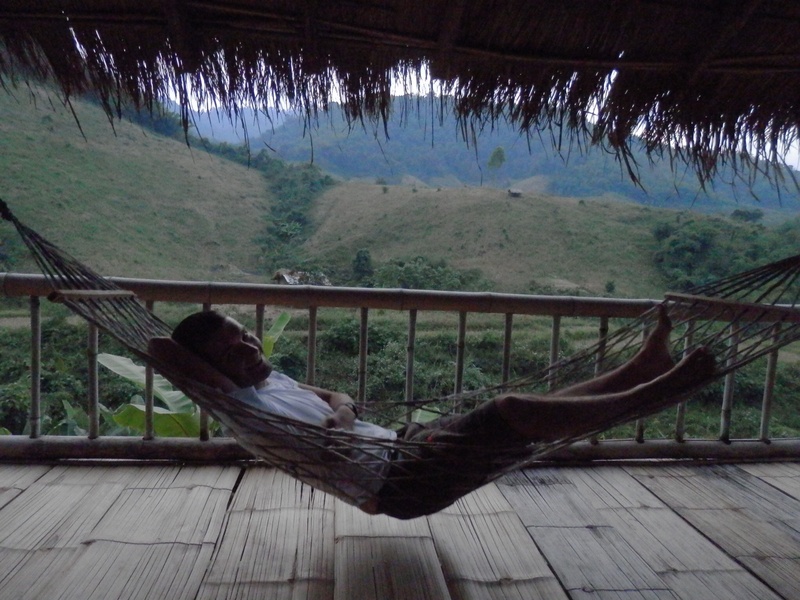 It was beautiful there, and especially nice being able to hike around on our own without a guide, and to lie in a hammock overlooking rice paddies. 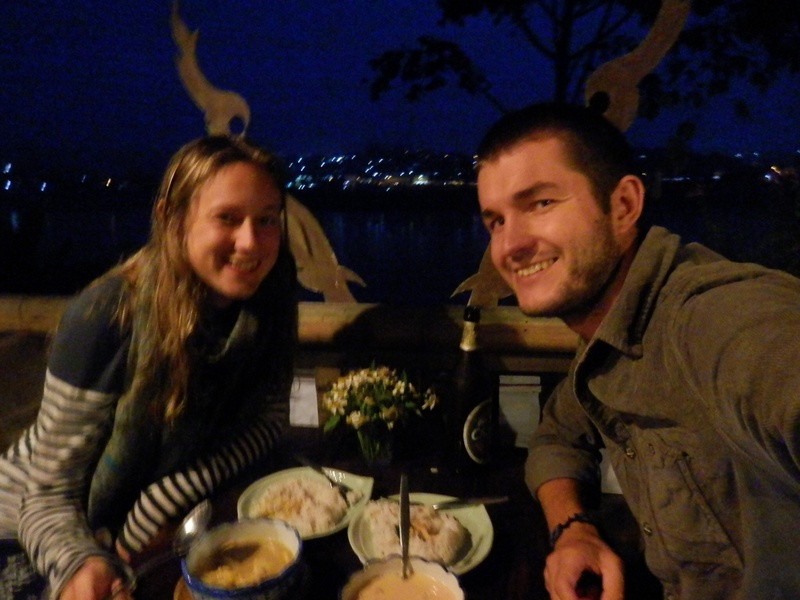 We are currently in Chiang Khong, looking over the river at Huay Xai in Laos. Tomorrow we attempt the border crossing, and possibly could have timed things better… A bridge over the river opened today (11 Dec), and apparently this is the way we now have to cross. What used to be a simple 5 minute, 40 Baht boat ride, now seems to be a 10km trip over the bridge. We will be amongst the first tourists to cross it tomorrow, so there is no set amount for Songthaews (minibus like things), with no way of knowing whether or not we will make it to the town in order to catch the slow boat down the Mekong. Exciting times (maybe) ahead! 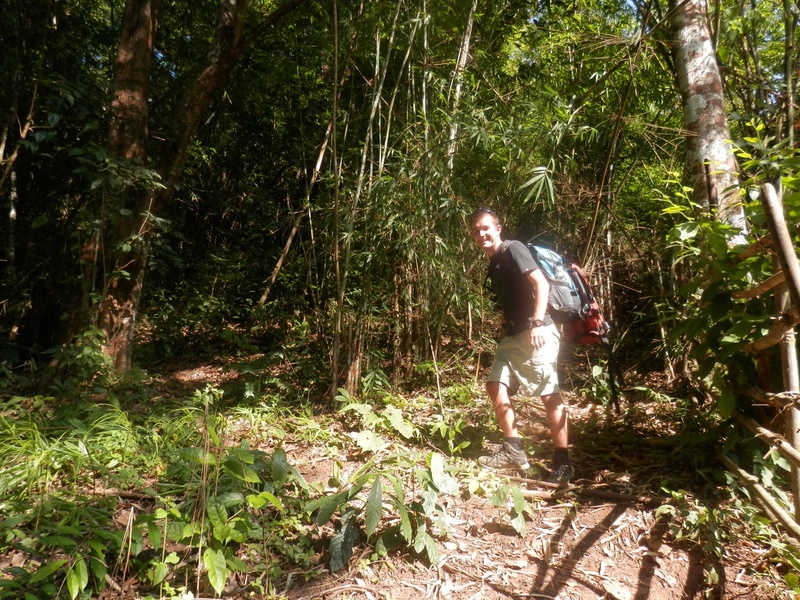 Trekking is supposed to be great in Northern Thailand and we had been looking forward to a hiking trip in the jungle. It’s really hard to work out which company to go with as there seem to be hundreds in Chiang Mai trying to sell you their services, so we just went with our hostel recommendation for a 3 day trip and we were really glad we did, as the trip was one of the best things we have done so far. It was only Sam and I with one other person and the guide and we didn’t see another tourist the whole time we were away. 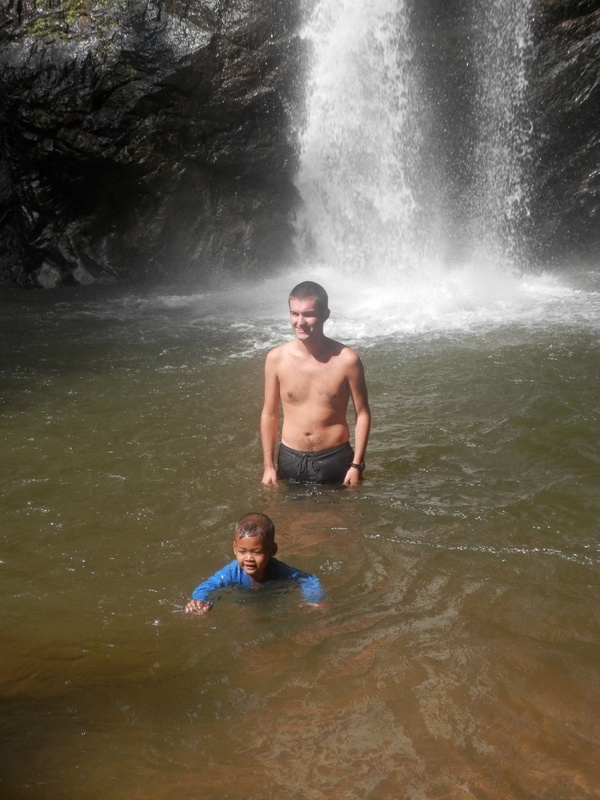 We started the trip by visiting a beautiful waterfall, swimming underneath and almost accidentally stealing a little boy that followed us for ages, including swimming in all his clothes. 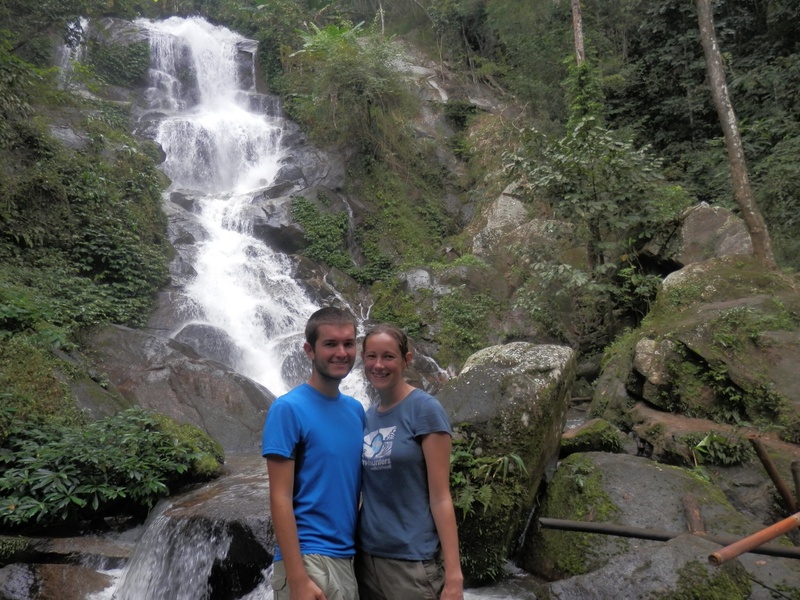 We then went to the Huay Nam Dung national park, where we started hiking. 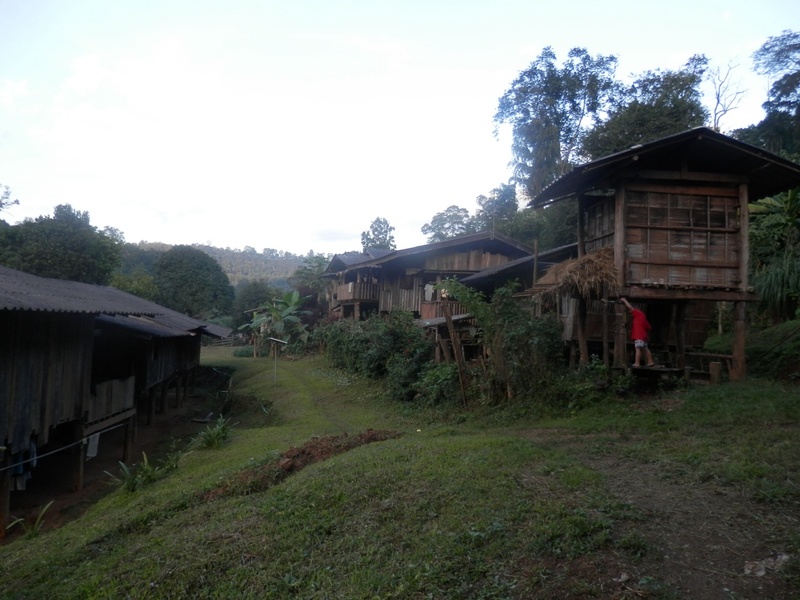 We stayed each night in local villages, with no electricity, amazing food, camp fires and some great views of the stars. 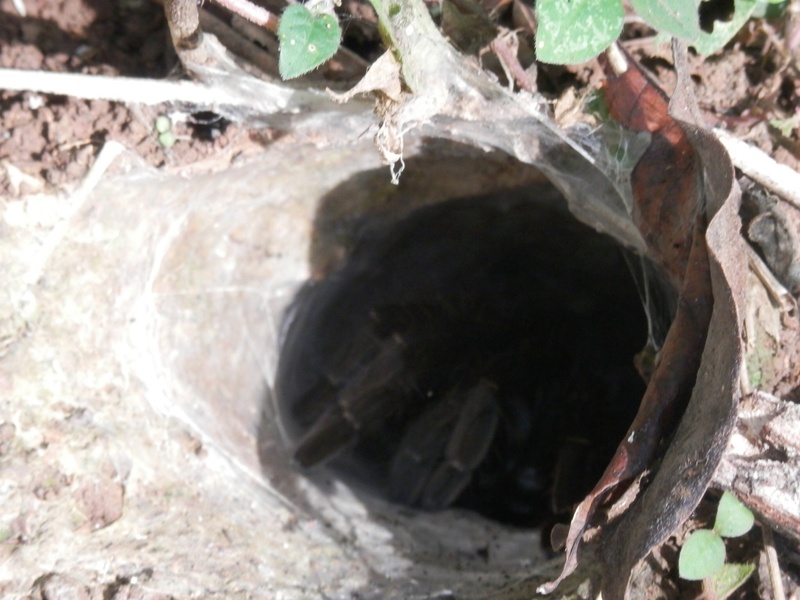 We got up close and personal with some interesting wildlife including a tarantula, a water snake, a green snake and a python, as well as a friendly elephant! 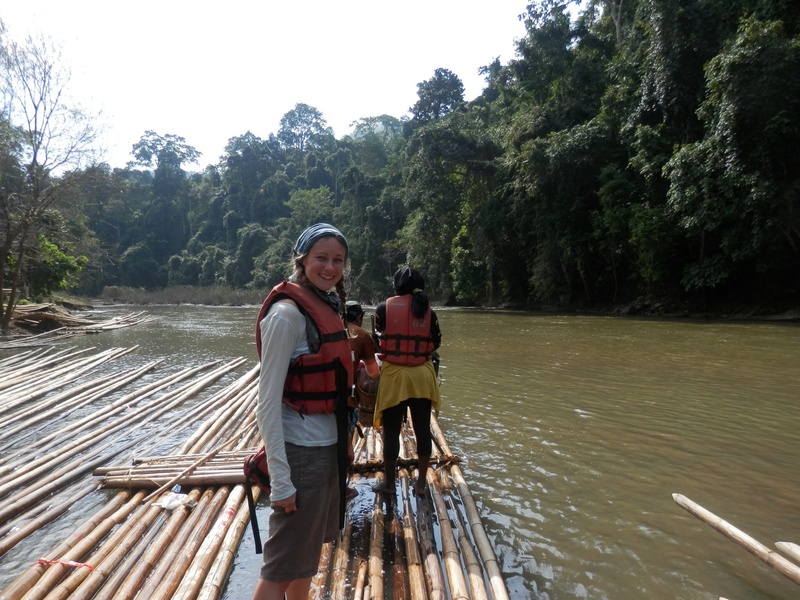 On our final day we went bamboo rafting. This was a proper homemade bamboo raft, made of just bamboo and reeds, unlike the “bamboo raft” we went on in China which had an engine and comfy seats! 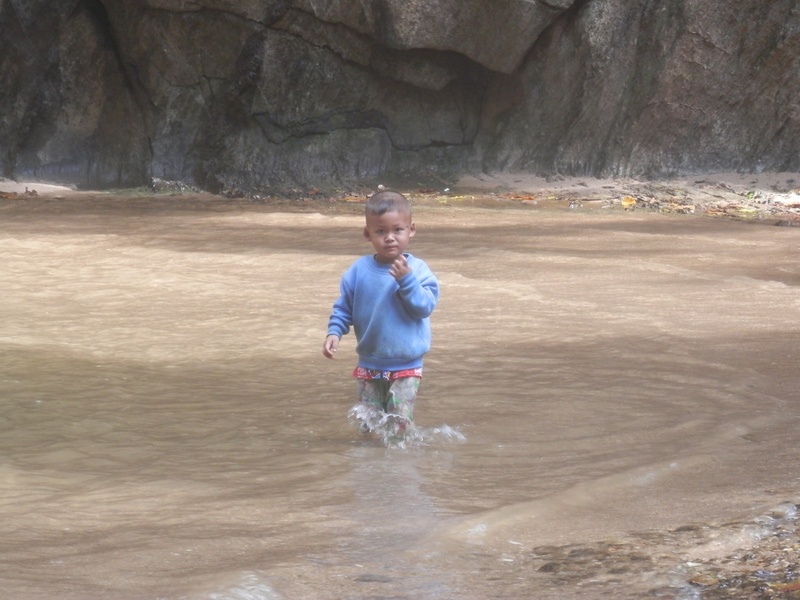 We stood up with our feet practically in the water, steering the raft with a bamboo pole. 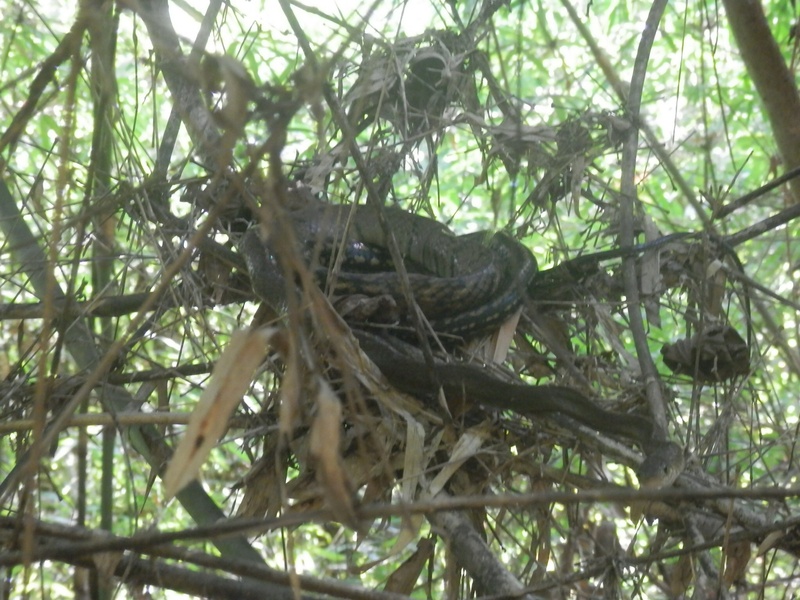 It was great fun and a beautiful way to see the river and the jungle scenery. After 6 weeks in Cambodia, crossing the border into Thailand was a pleasant relief, with paved roads, lots of English everywhere and people driving sensibly on the left. We’ve realised that we’ve got a lot of Asia left to pack in before our flight to Australia in January, so have decided to head straight to the north after one day in Bangkok and then go to Laos and Malaysia for Christmas. We will have to save Thailand’s southern beaches for another trip. 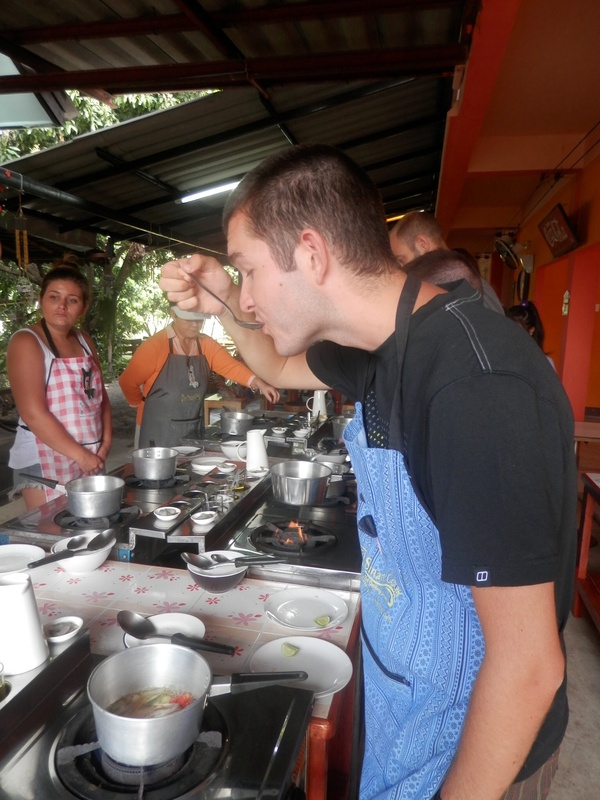 Bangkok was just like people had described to us – crazy busy and sprawling, so one day was enough for us to see some of the main sights and get started on eating a lot of thai food. 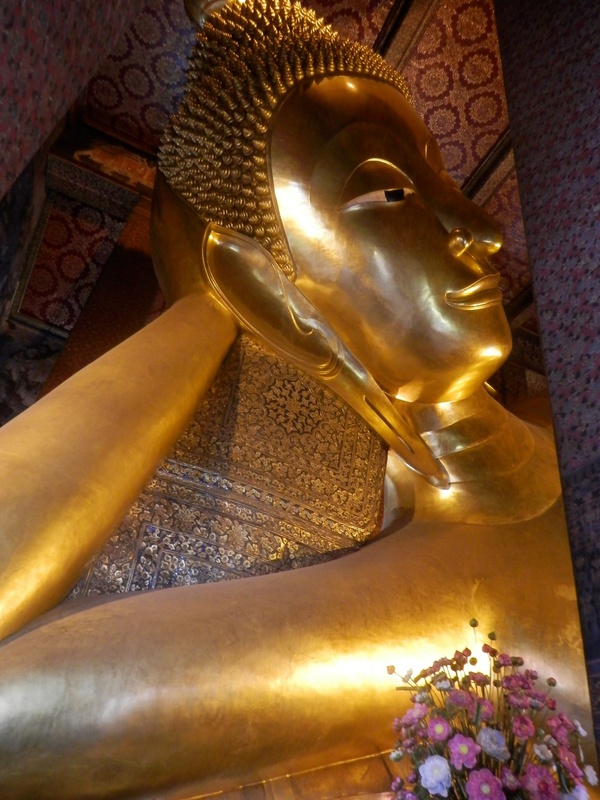 We saw the world’s largest solid gold Buddha and the world’s largest reclining Buddha and managed to miss any sign of the massive political protests that are going on somewhere in the city. 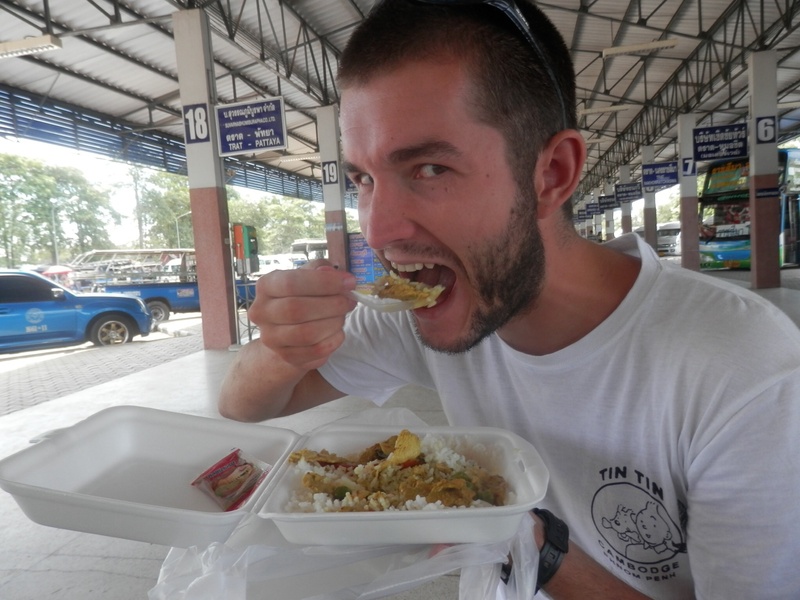 After some good street food we were happy to get the night train to Chiang Mai, although they weren’t a patch on the Russian trains! Chiang Mai was a nice place to spend a few days and to use as a base to explore the jungle and mountains that surround it. Our first job was to find a cooking class so we can recreate some of this yummy food for ourselves (and maybe our friends and family) when we get home. 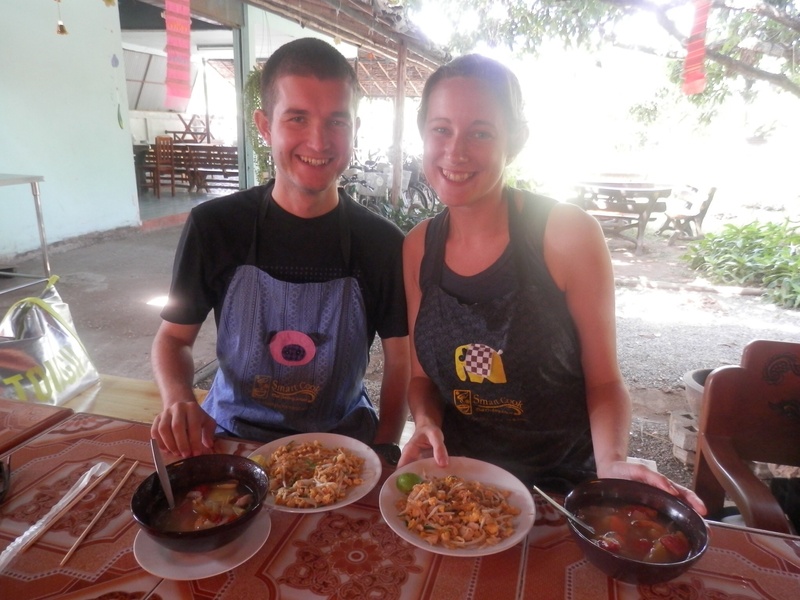 We spent an awesome day at a farm on the outskirts of the city learning how to make lots of different dishes, including pad thai, green and red curry, spring rolls, thai beef salad, tom yam soup and mango with sticky rice. It was all delicious, and hopefully we will be able to find all of the ingredients we need in Penryn Asda.